F1 Hotel Manila lets you celebrate Valentine’s Day in comfort and in love! Experience a heady romantic night as F1 Hotel prepares a Fort Suite for you and your cherished companion from February 11-15, 2019 with the “Comforts of Love” Room Package. Make your stay more relaxing with an inclusive in-room massage for two plus a breakfast-in-bed treat to make your mornings all aglow. Enjoy a perfect Valentine to remember for only Php 7,700 per night with a free bottle of wine and make the moment a sensation! Add another notch to your Valentine’s Day celebration by setting the night to music and feeding each other delicious morsels. 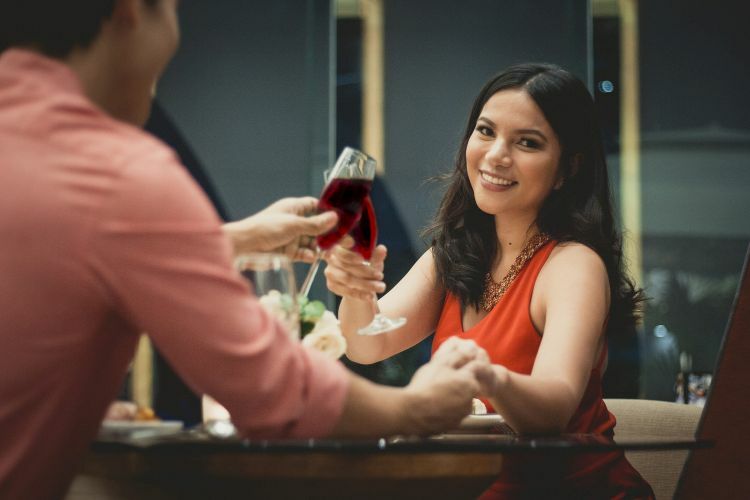 F1 Hotel Manila lets you experience an evening fit for romance with “Love at First Bite” this February 14, 2019. The first set will run from 6:00pm – 8:00pm while the second one will be at 8:30pm – 10:00pm. Enjoy a night full of delicacies that would satisfy your appetite and make your heart aflutter as Jet Barrun serenades you on this night of passion. Experience the all in one Valentines buffet concert for only Php 2,288 per head. Celebrate the season of love with F1 Hotel Manila’s offers this Valentines located at the heart of Bonifacio Global City. For room reservations and inquiries, please call 908-7888 or visit www.f1hotelmanila.com.